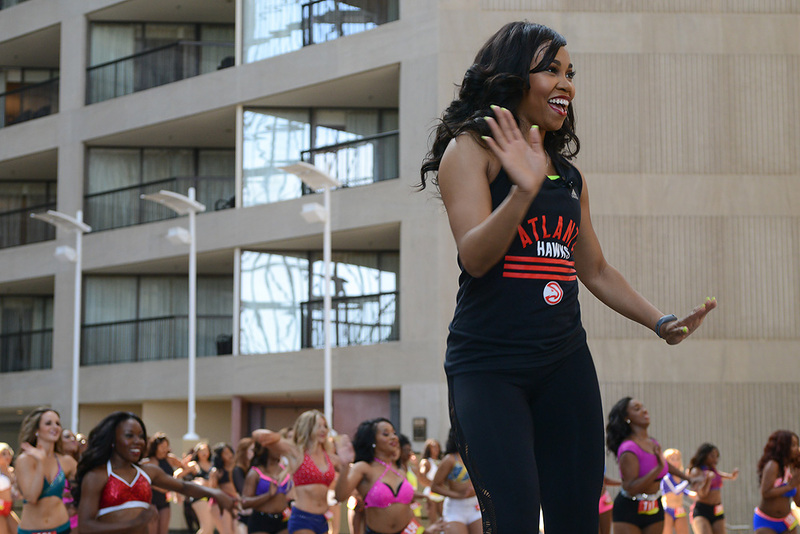 The Atlanta Hawks completed their auditions for the 2018-2019 dance team and they have posted some images from the audition process. Click here and here to view the galleries. 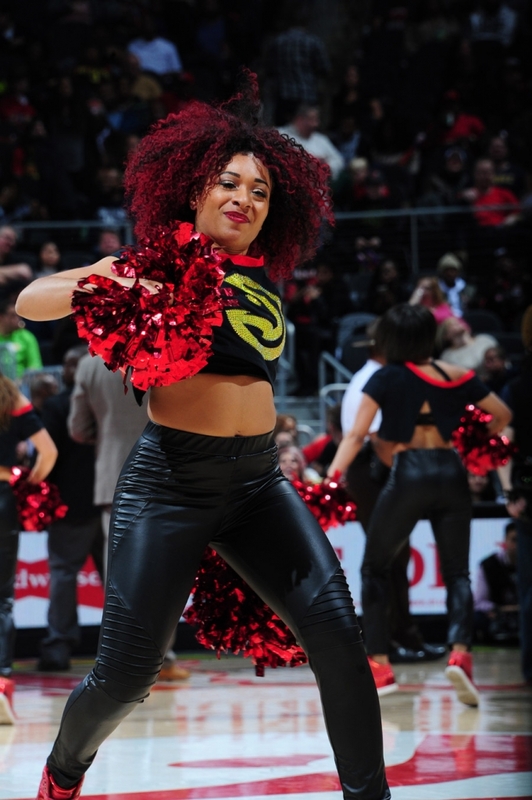 With the NBA playoffs in full force, its time we turn our attention to some recent NBA dance team photos. 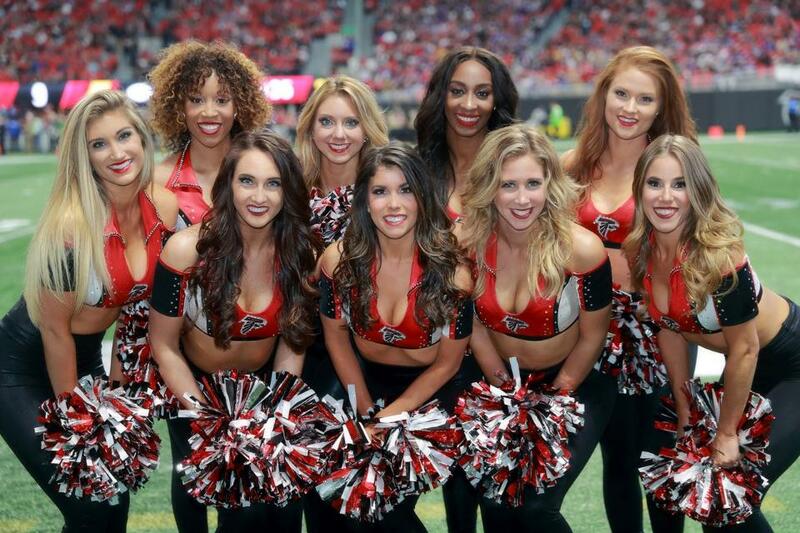 We turn our spotlight to the Atlanta Hawks Cheerleaders, who have posted a gallery of images from this season. Click here to view the gallery. 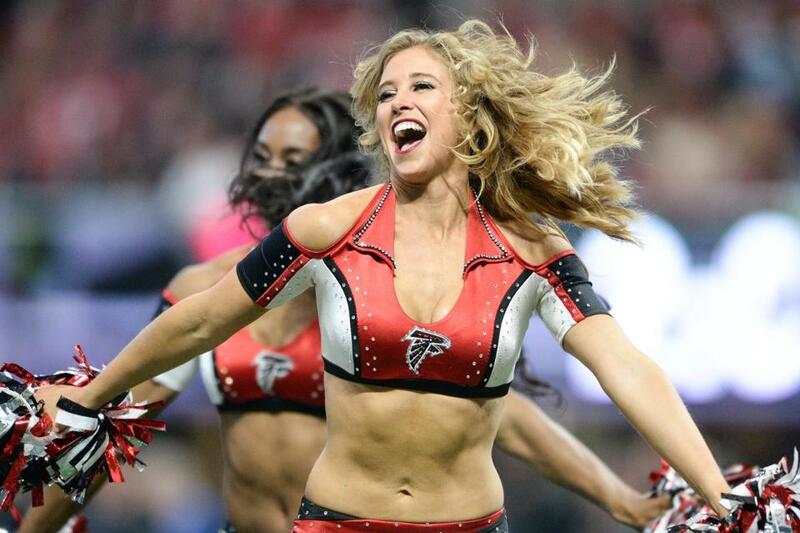 The Atlanta Falcons have posted a gallery of cheerleader images from Week 13. Click here to view the gallery. Auditions for NBA dance teams were held a while ago and I am just beginning to catch up with all the roster announcements. 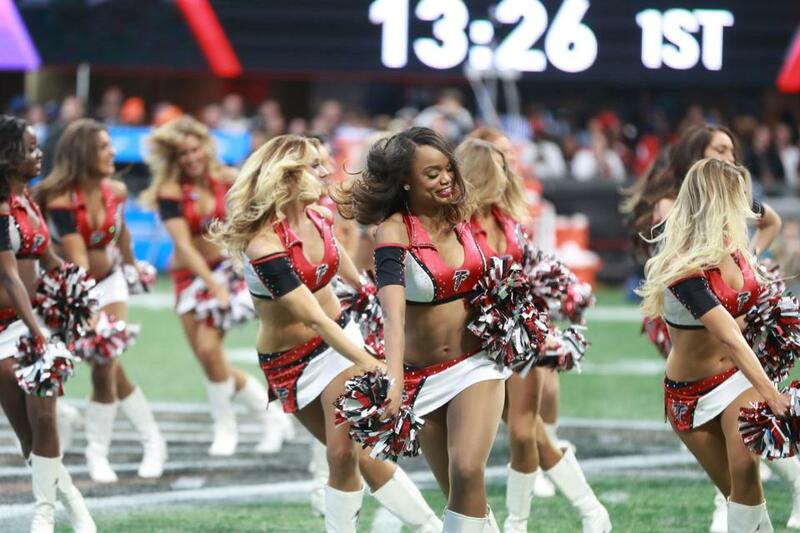 Let’s check out the 2016 – 2017 Atlanta Hawks Cheerleaders roster. One spot is left though. 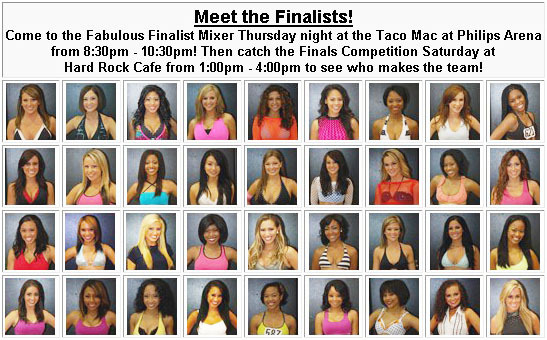 The voting is now closed, but check back Thursday to see which of the remaining three finalists will join the team. In the meantime, click here to meet the three finalists. 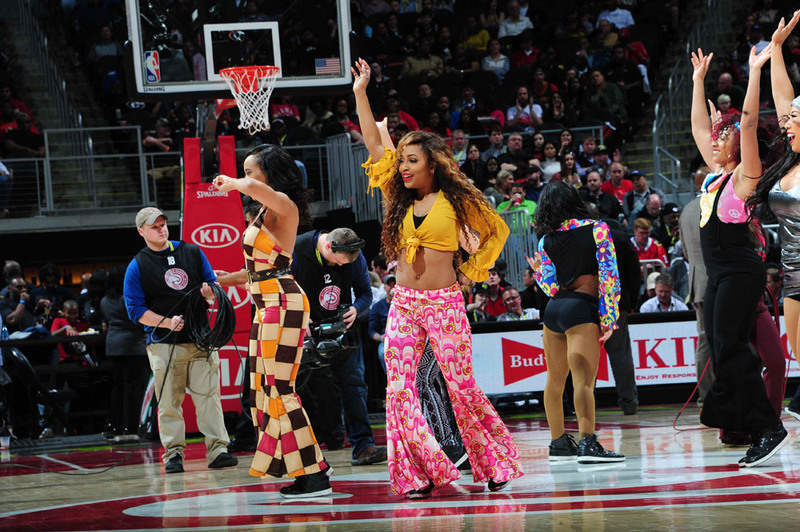 Click here to go to the Atlanta Hawks website and vote for your top three picks to make the 2009-10 Atlanta Hawks A-Town Dancers! You can also click here to view photos from finalist boot camp! 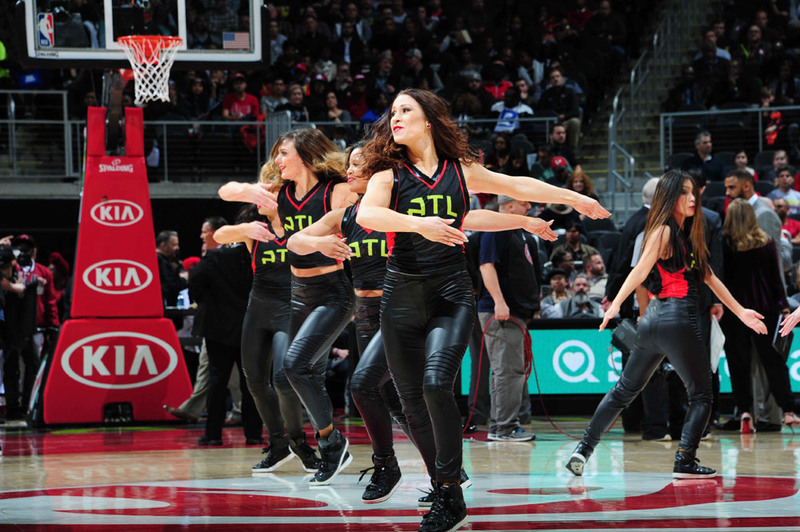 The Atlanta Hawks have finally updated their page for the A-Town Dancers. Go check it out!